We offer Green Raisins that are prepared from fresh grapes. 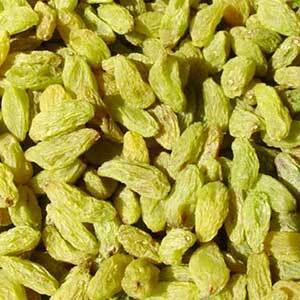 The Green Raisins, provided by us, are high in nutritional value and medicinal qualities. The unmatched taste and quality of our Raisins make us one of the eminent Green Raisins Exporters in India.